CN Light up logo pen-stylus has twist action mechanism. 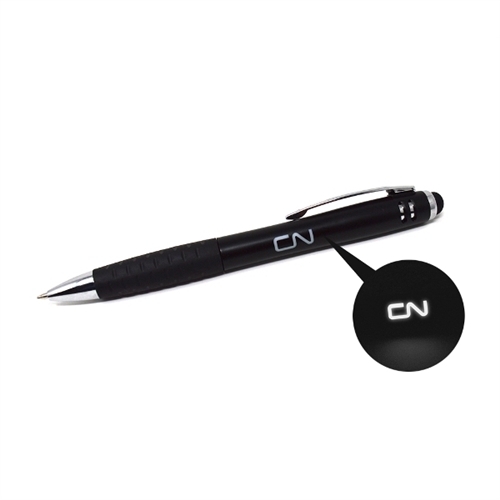 Bright LED light shines through the CN logo when activated. Rubber stylus on tip. Black with black ink.